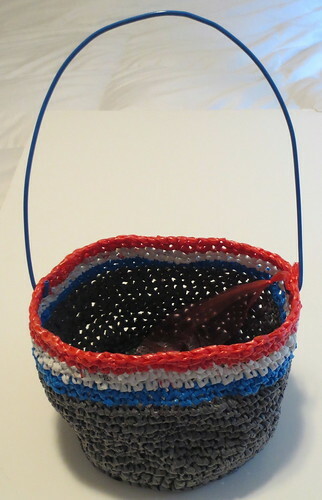 Just sharing my latest crocheted recycled plastic bag or plarn basket filled with goodies for an upcoming fundraiser. 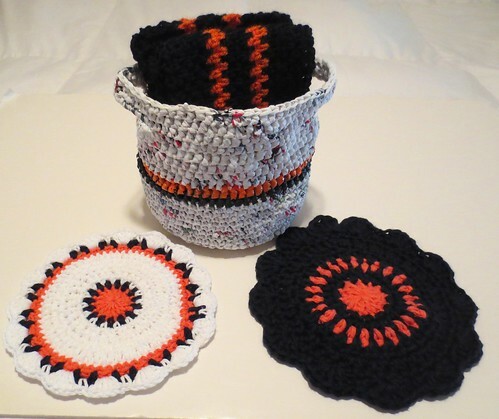 I crocheted black and orange items in a local school’s colors to fill my basket. 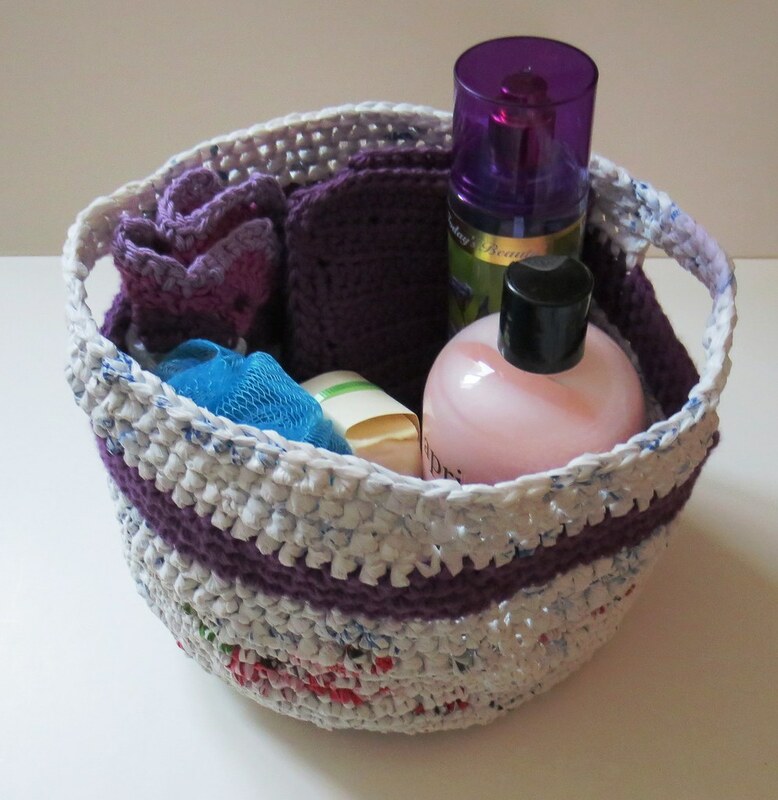 The basket was crocheted using my plarn basket pattern with mainly white plastic bags. I added one row of black and then orange plastic bags for the stripes. 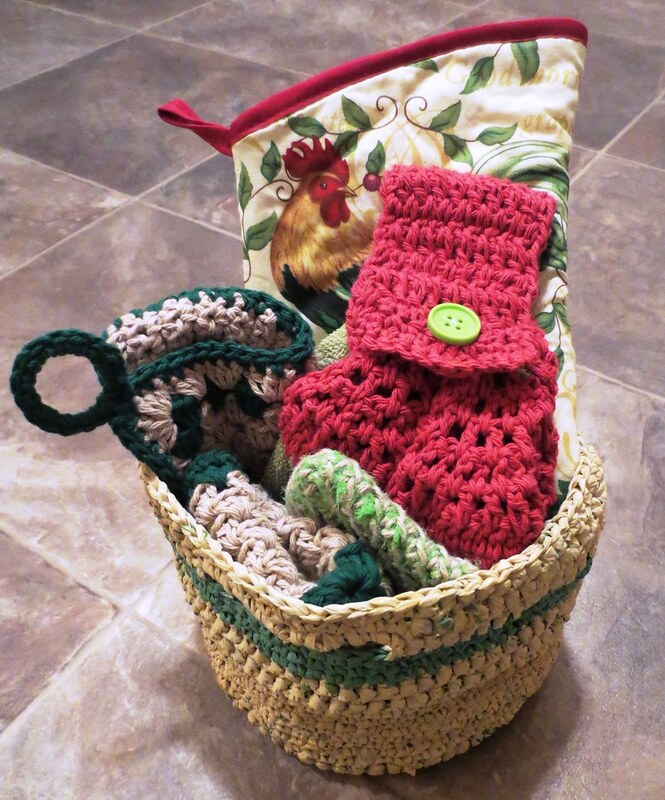 Here is all the goodies I added to the finished basket for the charity auction. 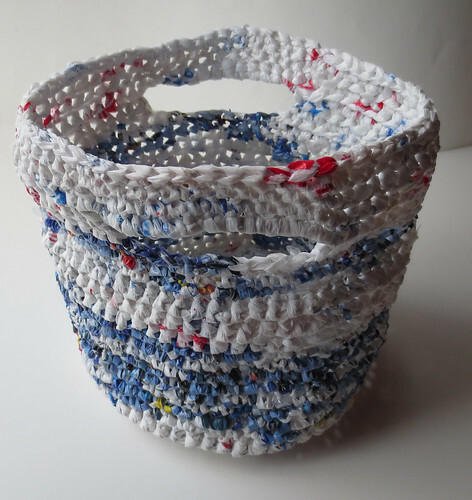 I have been saving hashbrowns 5 pound plastic bags to recycle them into a crocheted basket. 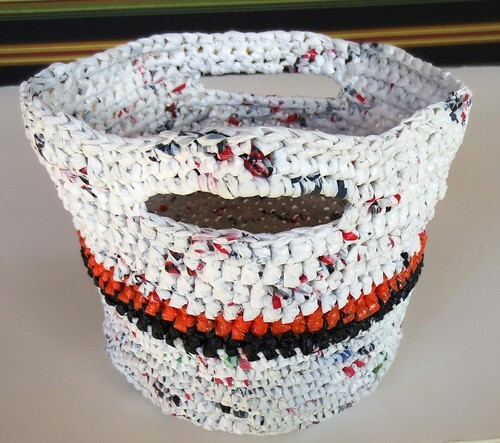 I saved 5 bags and cut them into plastic bag yarn or plarn. 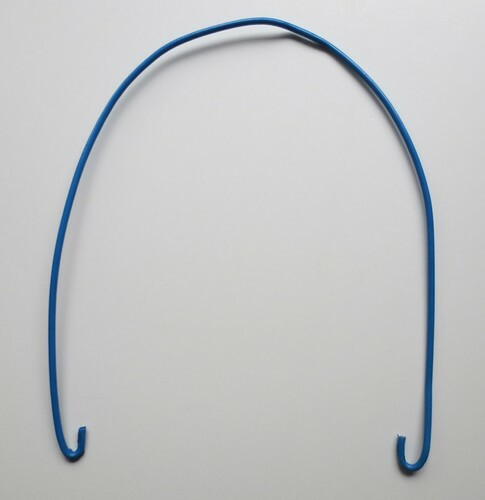 Because the bags are made from thick plastic, I cut one long continuous strip about 1/2 inch wide. I joined the strips together with a knot which I then just hid within my stitches as I worked the basket. 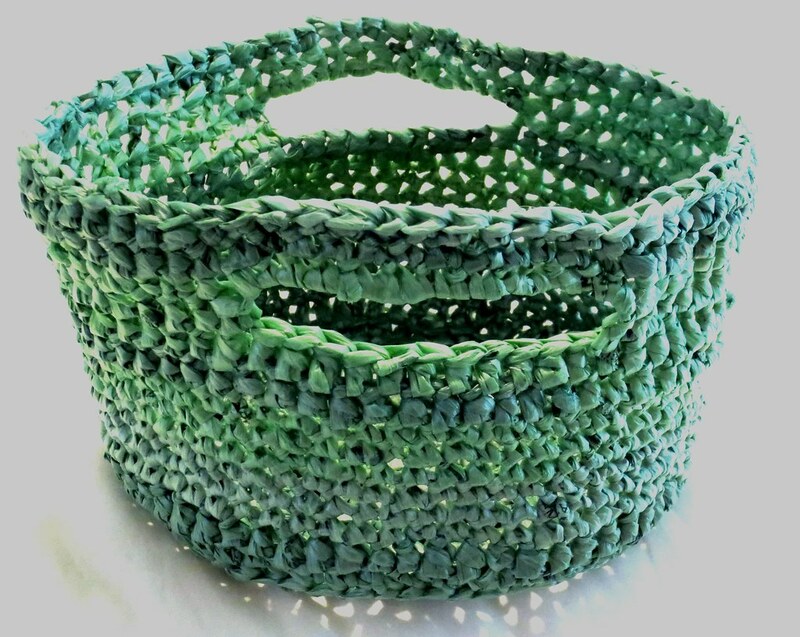 Here are two plastic baskets I crocheted from recycled plastic packages and plastic retail bags. 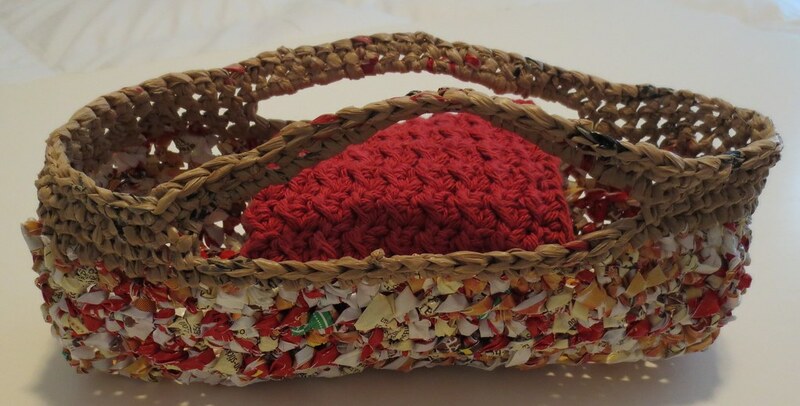 The red basket has several rounds from a large red hashbrown plastic package that I cut into plastic bag yarn or plarn. 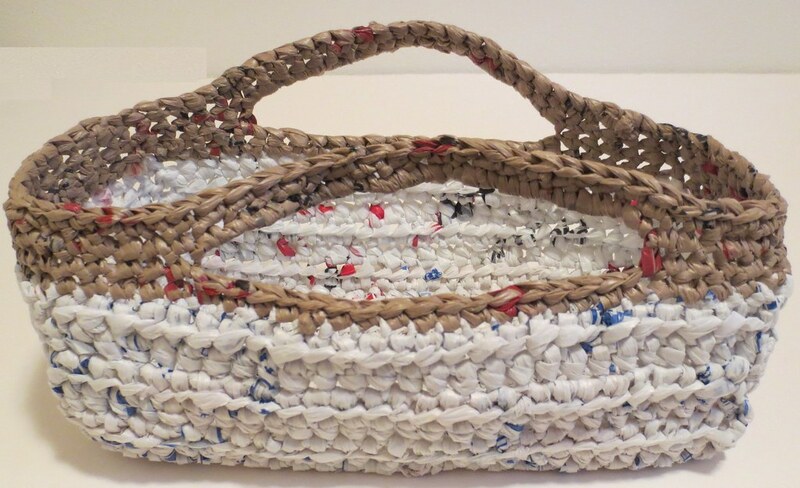 The blue basket has two large recycled toilet paper packages cut into plarn too. 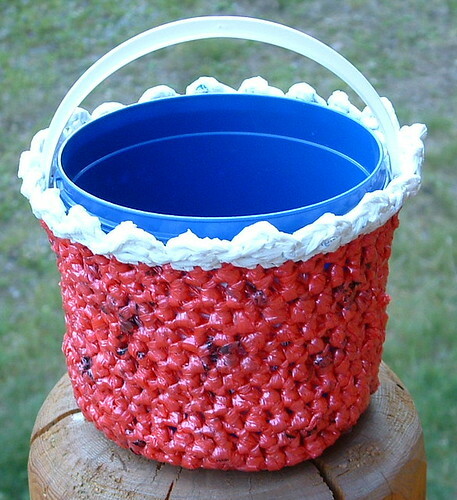 All of the plastic package materials were cut into plarn using a single strand. I used the single strand cutting method as the plastic was so thick and it was easier to cut it about 3/4 inch wide in a single strand to crochet with it. 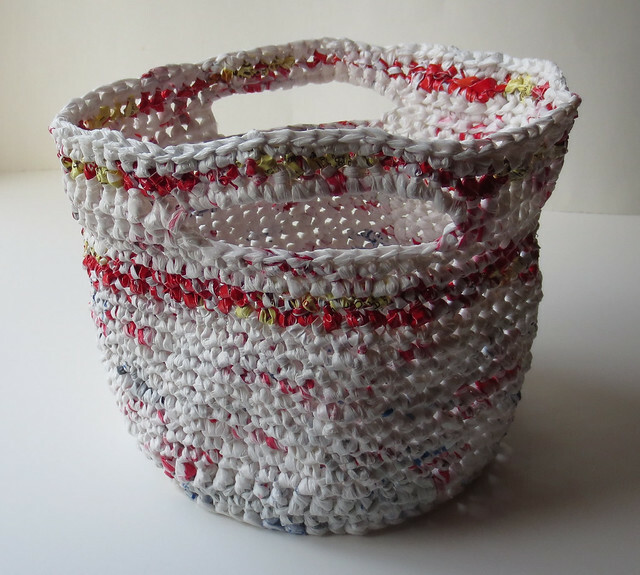 For the plastic retail bags, I made plastic bag yarn using my plarn making tutorial which is done using the looping method. 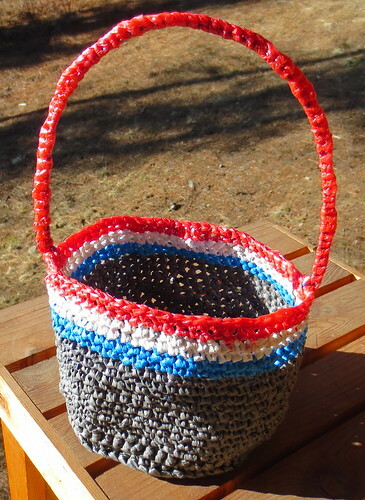 I wrote up the pattern details and have listed it on my free pattern page. In case you aren’t familiar, I offer all my patterns and tutorials free of charge. 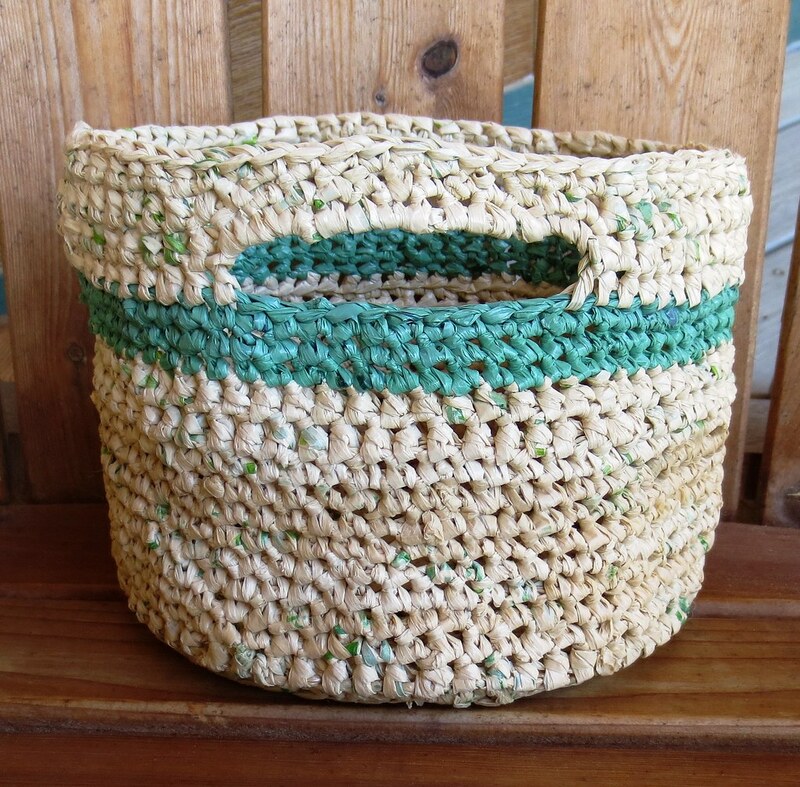 You can find everything from recycled bag patterns, repurposed denim projects, to crocheted regular yarn items. I have a large library of free patterns available so check out the link above to see all my patterns.